St Linus’ Anglican Kindergarten has been working with the Anglican and local community for more than 60 years and is a focal point for the Merlynston community. 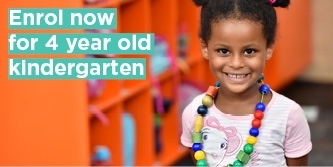 Our caring and professional educators offer three and four-year-old kindergarten programs in a safe and secure environment where children can express themselves, celebrate diversity and enjoy kindergarten. We take a holistic approach to children’s learning journey. 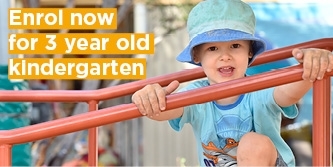 We embrace the principles, practices and learning outcomes in the Early Years Learning Framework for Australia – Belonging, Being and Becoming; and the Victorian Early Years Learning and Development Framework. We acknowledge the importance of transitions for our families, and we strive to support each child and their family as they experience a time of transition with us. It is our experience that children are much more receptive to learning when learning experiences involve their exploration and speak to their interests. Through this sort of play-based learning, children’s natural eagerness, curiosity and desire to learn is cultivated. We believe that children should be actively involved in their learning, through “hands-on” experiences. In helping each child to feel comfortable at kinder, children develop self-confidence, independence and belief in themselves and their abilities. Our highly dedicated and qualified educators offer a wealth of experience and understand their important role in nurturing, guiding and educating each child. We encourage families to participate in and share in the kindergarten experience. We value our trusted partnerships with families and acknowledge their role as a child’s primary educator. We observe, document and collaborate with families to identify each child’s needs, interests and strengths and integrate these into our programs. St Linus' Anglican Kindergarten has been rated as Exceeding National Quality Standard. Information about the National Quality Standard. St Linus’ Kindergarten’s grounds provide the perfect environment for your child to engage in plenty of physical outdoor play to develop and refine both gross motor and fine motor skills. Our recently refurbished sustainable outdoor space features a dry creek bed with water pump, a mud-pit (for lots of messy fun) and a stage area and other elements perfect for creative play.